This is an absolutely stunning and beautiful modern houses that I have ever seen. 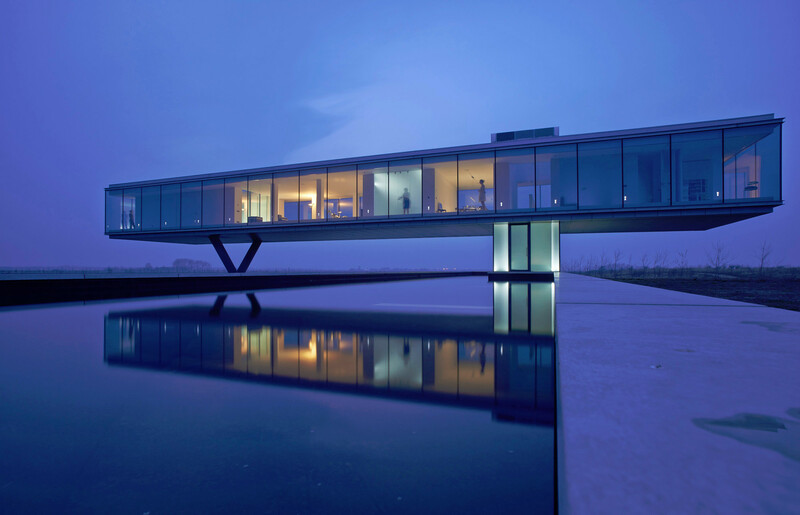 It is located in Noord-Beveland, Netherlands and is called the Villa Kogelhof. It was designed by the architects Paul de Ruiter Architects. This is a 25 hectare estate that is part of a government program that is aiming at connecting the regional ecology with housing throughout the Netherlands. The house appears to be floating above a man-made pond and the raised design makes it more open to the overall envirenment around. This house design is one that I hope many more designers start implementing!